After installation of Excel Savvy, customizing the ExcelSavvy Global settings is the next step. This allows an individual's name and company to be available on the Savvy interface and on the top of all the Savvy reports produced. 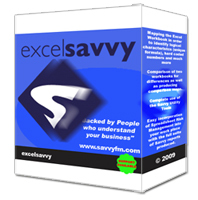 Alternatively download the excelSavvy user guide here.